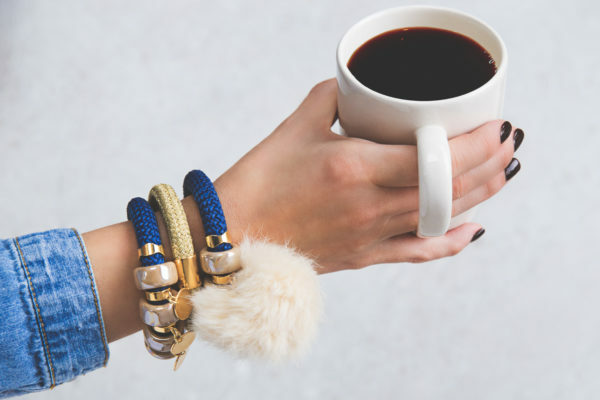 Brighten up your day and night style with the gorgeous Cream Furry Bangle. This timeless piece of costume jewellery features a fresh new design and gorgeous detail. Royal blue cord creates an elegant aesthetic complemented by a single furry pom pom in soft cream. In line with the Iris brand ethics, all pom poms are made using faux fur. 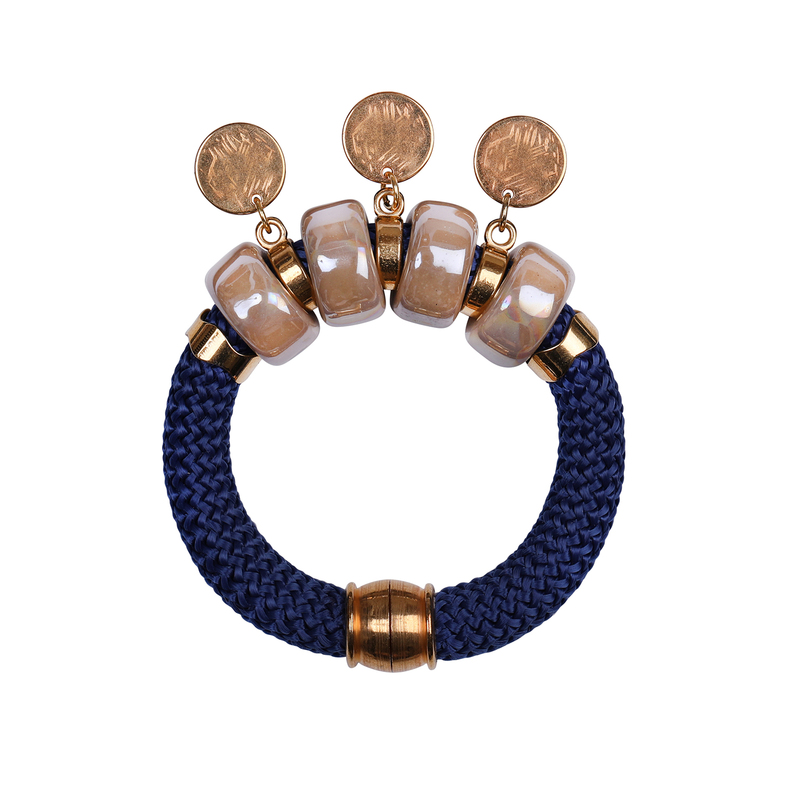 Coffee-coloured ceramic stones embrace the pom pom to make a bold statement. 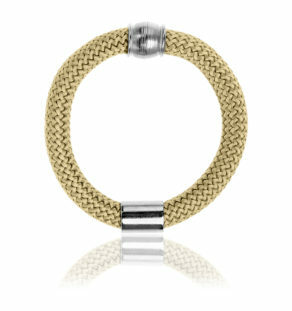 Gold accents offer a sophisticated Grecian-inspired aesthetic, the magnetic clasp makes for easy wear while the handwoven cord brings a delicate touch. 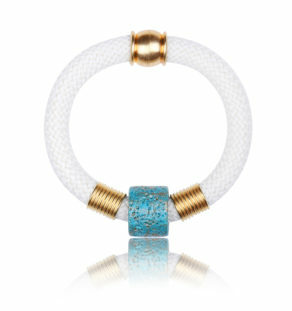 Handmade in the IRIS studio, the Cream Furry Bangle makes sure that no outfit will ever be boring again! Match it with other contrasting or complementary colour accessories in the Iris collections for a look that will stand out from the beach to the bar and beyond.